Public Holiday, Special Occasions delivery after 8.00pm, before 10.00am : Special arrangement can be made. For delivery on Sunday, Public Holiday, Special Occasion (ie. Christmas, Valentine’s day, Mother’s day & Father’s day), after 8.00pm, before 10.00am, outside Klang Valley area and overseas delivery, please place your order 3 working days in advance to ensure that goods can be deliver on time else it will be on case by case basis. We provide FREE DELIVERY within PAVILION KL Shopping Mall. Customers just need to select SELF PICKUP through order and provide location detail as follow. Same Day Delivery is available for order and payment done before 1pm for online shop and 1:30pm for Shop/ Telephone Order daily. All morning Delivery needs to reach us before 3.00pm on the day before the delivery date for online shop. Please call for Shop/ Telephone Order after 3 pm for morning delivery. For any purchase above RM200 will get free delivery service to Klang Valley area. We reserve the right to charge additional charges for all outstation (Outside Klang Valley area) delivery. Certain location for the delivery is far away from our partners and we might have to charter a car just to deliver accordingly. Same goes to not common flowers like Peony or Tulip if it is available. Sender must provide at least 1 contact number for recipient and 1 alternative contact number (ie. 2nd mobile phone / office phone / house phone). We will NOT reveal the sender details because we understand most of the senders would like the gift/flower to be a surprise. Delivery to college/university campus are NOT available at the moment. Please note that the runner will only wait for 15 minutes at the assigned delivery address. Any undelivered products will be sent back to the shop. 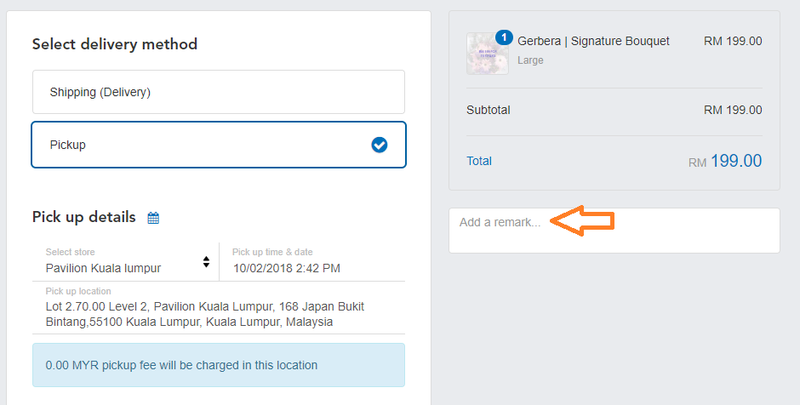 A fee of the same amount of delivery charges will be imposed for re-delivery of orders (to the same place) and different fees for re-delivery of orders to different location. Any replacement of product will be charge separately. The management reserved the right to amend any of the above without any prior notification. Thank you.